Nagpur is the city in Maharashtra and its capital is Mumbai. Nagpur has number of colleges which helps the aspirants in gaining higher education in the field of engineering, arts and social science, law, commerce, medical science, journalism etc. Most of the colleges in Nagpur are affiliated to the University of Nagpur. In addition with the above courses there are various other subjects offered by the colleges around Nagpur. The main aim behind the successful students is the teachers which impart knowledge among the aspirants which in turn lead to success of state and ultimately success of the country. Nagpur is blessed with private, public and also professional colleges with regular and distance mode of learning. 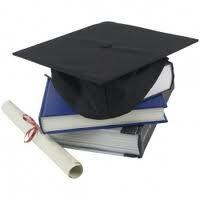 "Following is the list of Colleges in Nagpur. All Colleges in Nagpur are divided into Location wise. We have even listed college in Nagpur as per alphabetical order which is easy to find the desired college and information on it. If you come across any college in Nagpur which is not found from our list below, please do let us know by using add in list which is default in our website”.